“Literacy is a bridge from misery to hope,” said Kofi Annan. Mr. Annan is Chair of The Elders, a group of thoughtful statesmen and women who have had much to contribute to the global dialogue on key issues affecting the world. I recommend you listen to what they have to say. For many Jamaicans, learning to read and write has provided that bridge to a different world. They can stride over it with confidence and communicate with their fellow literate human beings, on the other side. But for some, the bridge has broken; like those ramshackle bridges in rural areas that residents are afraid to tread on. The bridge has let them down. In the end, it’s not there, and they are left stranded on the river bank. 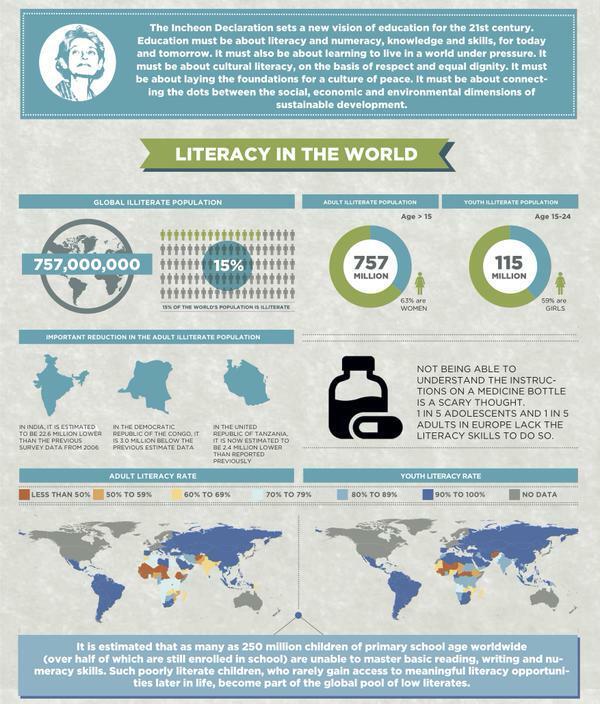 Today (September 8) is International Literacy Day. This year’s theme is “Literacy and Sustainable Societies.” This is interesting. Is UNESCO suggesting that without literacy, societies will start to fray at the edges? In “development speak,” is literacy essential for “social cohesion”? Is the theme simply a convenient hook on which to hang one of the newly hatched UN Sustainable Development Goals (SDGs)? Note: Jamaica comfortably achieved the Millennium Development Goal of “Achieving Primary Universal Education” but we now move on to the proposed SDG – to “Ensure inclusive and equitable quality education and promote lifelong learning opportunities for all.” The words “equitable” and “quality” may prove challenging for Jamaica, but that is another question. I listened to a government representative on radio, telling us that Jamaica has achieved adult literacy (ages fifteen and over) as high as 87 per cent. The figure for men is lower, at 82 per cent, compared to women (92 per cent). This is the figure for 2005 – 2011 from UNESCO’s “Education for All Global Monitoring Report,” which gives statistics that the Jamaican Government would supply. The report notes that on the whole island there were 254 male and 33 female illiterates. It is projecting higher literacy figures (89 per cent) for 2015. The government representative on this morning confirmed that the figures were in accordance with UNESCO’s definition of literacy. Now, UNESCO defines literacy as “the ability to read and write, with understanding, a short simple statement related to one’s daily life.” That’s it; as basic as you can get. But then, the issue of functional literacy comes into play – actually using one’s literacy to actively and effectively engage in society. What would Jamaica’s statistics look like in this framework? I would think they would be much lower. A global overview of literacy posted by UN Youth on Twitter today. At the UNESCO World Education Forum in Incheon, Korea, in May this year, participants in their final declaration linked education to sustainability with their emphasis on ensuring “inclusive and equitable quality education and…lifelong learning opportunities for all.” They described this as a “new vision” for education, although I thought this would always have been a fundamental goal. 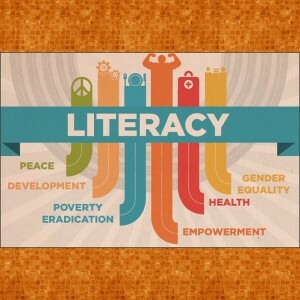 Non-governmental organizations at the meeting expressed concern, however, that 782 million adults are “denied the right” to literacy – two-thirds of them women. Happily, Jamaica does not struggle with the issue of women and girls being denied access to education; and literacy classes for adults are available. The Jamaica Foundation for Lifelong Learning (JFLL – formerly JAMAL), a government agency, offers a High School Diploma Equivalency certificate which goes one step further, offering lessons in five CSEC subjects that will qualify Jamaicans for skills training; Jamaicans at any educational level aged over seventeen may qualify. JFLL sees a need beyond basic literacy. At this point, though, I must mention that on more than one occasion I have been approached (very quietly and somewhat nervously) by young men who are seeking to learn to read and write. Where do they go to learn, they asked? I have passed on the relevant information, although later one told me that adult literacy classes were full; a matter of concern, perhaps. Yes, these were young men in both instances, both in employment by the way. This brings me to a Gleaner article that gave me pause for thought over the weekend: According to a British Council survey, male students in schools apparently consider speaking standard English too “soft” and effeminate. Raw patois and slang is the thing. Peer pressure is high, with the “bad boy” macho philosophy dominating every aspect of these young men’s lives. This is extraordinarily depressing. One hopes it is just a passing fad. Louise Bennett knew how to tell a story. 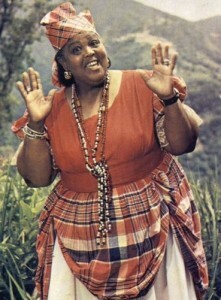 The oral tradition can play an integral part in literacy efforts in Jamaica. The British Council report also stresses the importance of speaking and listening in teaching English. Reading and writing is not the full picture. And literacy is about so much more than one “simple statement.” The Jamaica Reading Association also believes in the importance of sounds – how we pronounce words. We all know the importance of oral communication (story-telling, etc) in learning in Jamaica. I discussed this in an earlier post on the challenges of writing for children. Browsing articles on the Internet is one thing (the tablets now being used in schools, for example); but there is no “cultural” context and no guidance on how to pronounce words properly. It may work better if children are also taught by reading out loud (both themselves and the teacher), rather than always poring over a book, finger running along the lines. This would help build that much-needed confidence in self-expression, which is a vital part of learning. I understand the Ministry of Education plans to introduce more of this in coming years. “English is a second language, and we need to teach it as a second language, which the ministry is now doing,” said Minister Ronald Thwaites recently. Aha. Perhaps this will help to boost our falling examination pass rates in English. Mostly self-educated and born into slavery, Frederick Douglass knew everything about the value of education – and freedom. The two are connected. This is the kind of freedom I have written about before. It is the freedom that comes from empowerment – and active engagement – in a democratic society. I am all for that! 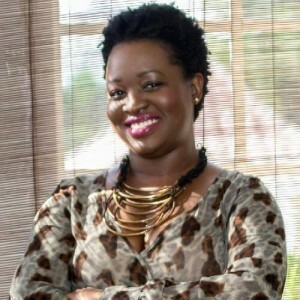 Latoya West-Blackwood, Chair of the Book Industry Association of Jamaica. 1. Volunteer to read to children in your community or at a school near you. 2. Encourage your own children, relatives or friends to read more and widely. 3. Contribute to or start a campaign to raise funds to support organizations promoting literacy in your area or country. 4. Donate previously loved books or share digital subscriptions. 5. 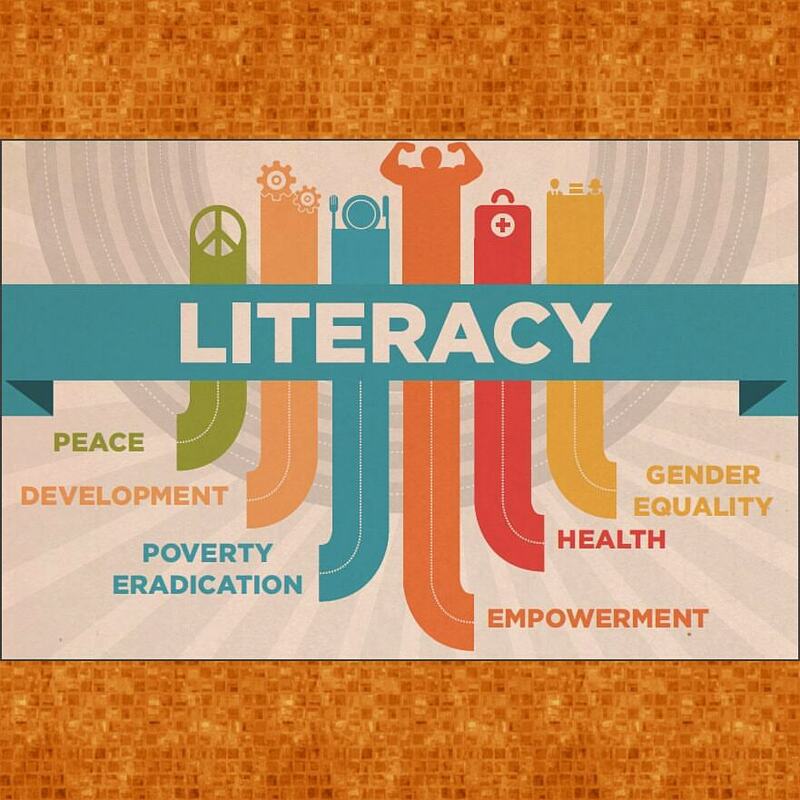 Lobby your local representatives to dedicate funds to literacy programmes in your community. It’s just as important as fixing roads!